I am using the stamp set lots of lavender again today. I found this video by Dawn and if you want to see her video you can find it here. 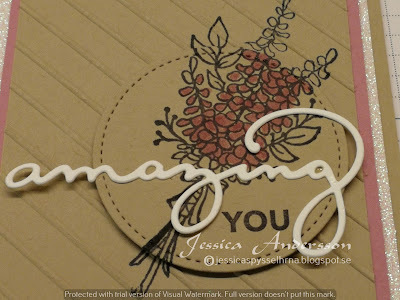 In my card I used crumb cake cardstock as base for my card. Then a layer of dazzling diamonds, a layer of sweet sugarplum and then a layer of crumb cake again. The last crumb cake layer is stamped and coloured with sweet sugarplum marker then cut out with the stitched circle frames. I also stamped the word you from same stamp set. 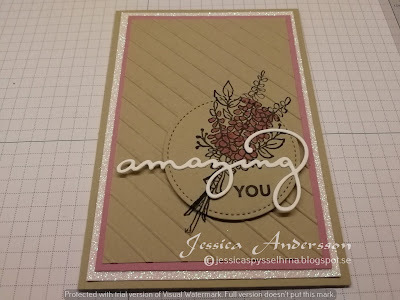 I then embossed the crumb cake-layer with the new simple stripes embossing folder. Added som dimensionals under the circle. 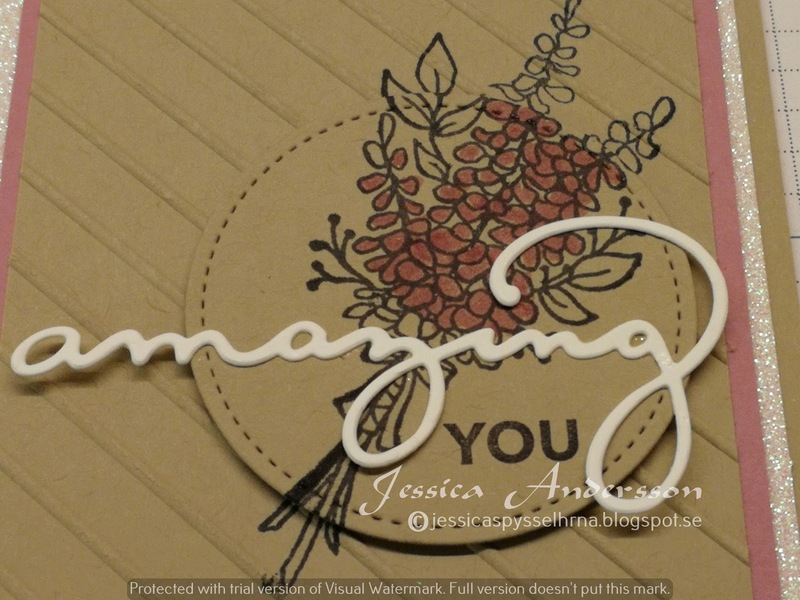 The word amazing if from the celebrate you thinlits.